We're doing our best to keep our promise of catching up on our backlog of listener suggestions, and on episode #86 we're back with another. 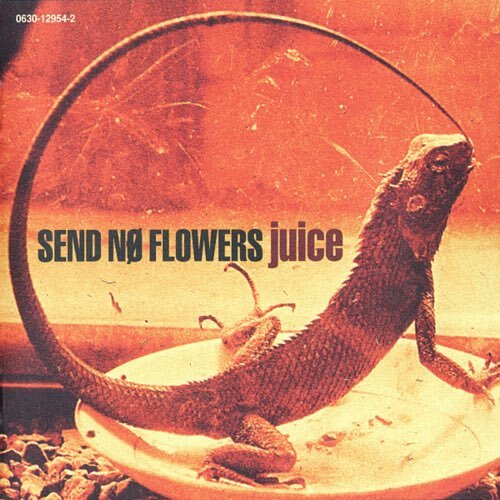 This week, we give a listen to Send No Flowers from the UK, and their lone full-length release from 1996, Juice. Like our recent review Headswim, the gentlemen of Send No Flowers are giving us their take on early '90s American alternative rock. We both found Headswim had a hard time finding their own sound, stuck repeating instead of reinventing bands like Pearl Jam and Alice In Chains. Does Send No Flowers fair any better? Tune in and find out.